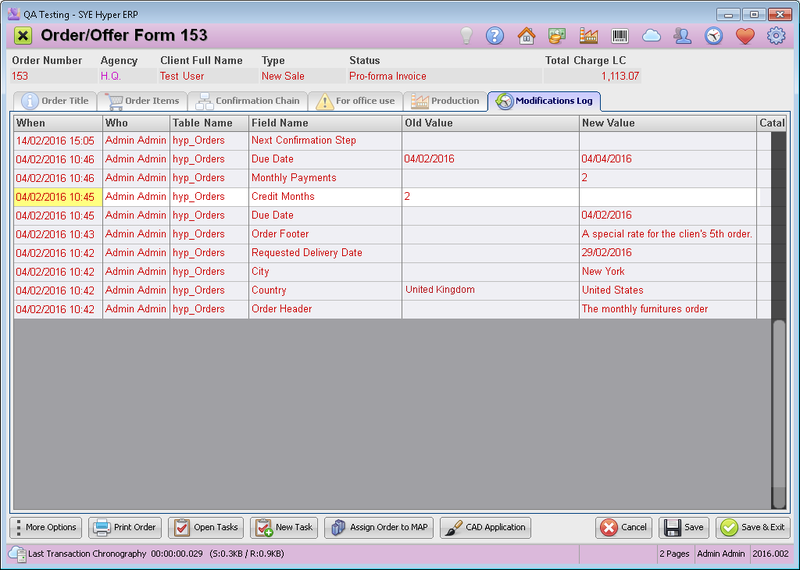 The modification log of the Order / Offer Form, allows to trace and follow every modification and update made in this form. The table in this tab automatically presents all of the modifications and updates of this order, and includes the details as well as the time of the modifications. This is an information tab for inner monitoring and control. The user can change or add information fields according to the requirements and needs.